A) Between two points in same part of mold. Over 6”: 0.030 +/- 0.003 in./in. over 6”. B) Across the parting plane. A-type dimension plus the following: Projected area of casting, A1 x A3 sq. in. Additional tolerance for parting plane, inches. C) Affected by moving parts. A-type dimension plus the following: projected area casting affected by core, A3 x G1 sq. in. Additional tolerance for core, inches. D) Draft, standard foundry practice is to “add” draft to the part. 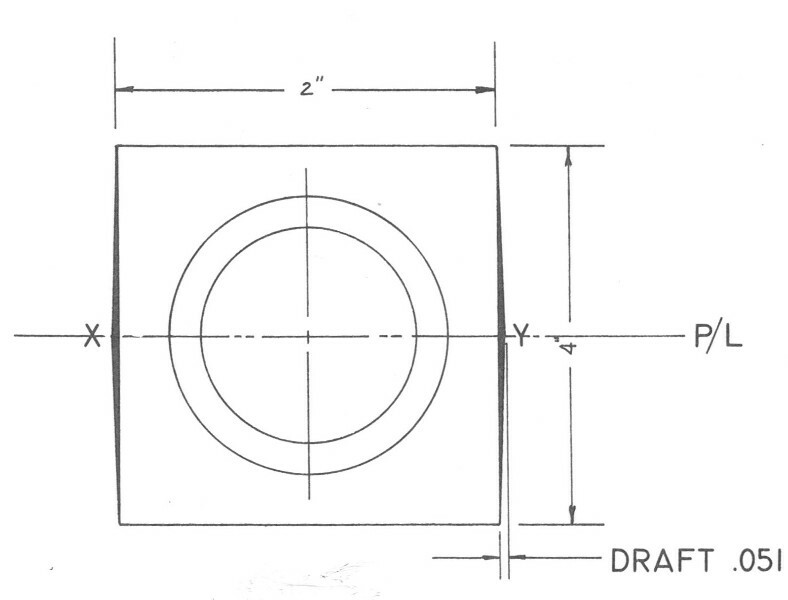 Each degree of draft will add .017” per inch of draw to dimension. Tolerances are measured plus or minus a given dimension plus draft. 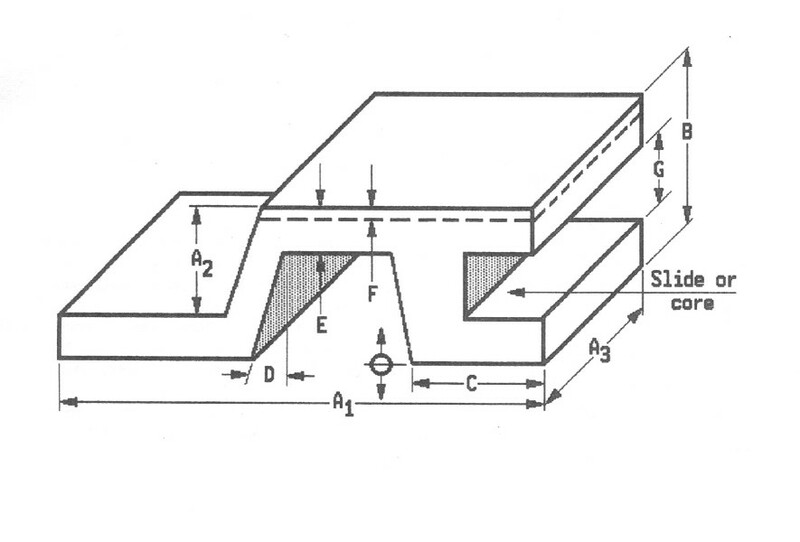 Minimum wall thickness for a sand casting is typically 0.150. E) Shrinkage allowance: Aluminum @ 5/32” per foot, Aluminum Bronze @ 5/16” per foot and Brass & Bronze @ 3/16”-5/32” per foot depending on the alloy. Machine stock allowance varies per alloy and it is recommended consulting with the foundry engineer. F) Weight conversion, per cubic inch for non-ferrous cast alloys- Aluminum @ .97-.101, Aluminum Bronze @ .274 and Brass & Bronze @ .310-.320. A cast iron manifold weighing 27 lbs. will weigh 10.4 pounds in aluminum, a total weight savings of 16.6 pounds if converted to an aluminum casting.